← We should all be ashamed . . .
A CAT-Scan for Business . . .
One of the most revolutionary breakthroughs in the field of modern medicine is X-ray computed axial tomography combined with digital geometry processing to generate a three-dimensional image of the inside of the human body. Known as a CAT-Scan, this tool has revolutionized the ability to diagnose many forms of early stage illnesses from cancer to heart disease. Because of its simplicity and non-invasiveness it is widely used, with over 100 million scans being conducted yearly in the US alone. Although most common in medicine, this type of scanning technology is also used in other fields, such as nondestructive materials testing. Another example is in archaeology to see inside of sarcophagi and Egyptian mummies, as well as uses in biology and the study of fossils. All in all a pretty useful tool. What if there were a business equivalent of a CAT-Scan? A non-invasive way to quickly see inside an organization and to diagnose early stage problems or spot specific “cancerous” issues? How many CEOs and CFOs would like to see the results of a CAT-Scan on their organization? 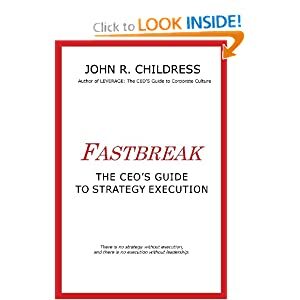 One of the holy grails for any CEO or CFO is to have a current snapshot of the capabilities and risks to the delivery of the business strategy. And today more and more leaders want a “balanced scorecard” type of insight into their business, covering things like culture, products, customer satisfaction, marketplace dynamics and brand image as well as financial information. All these ingredients exist but they are usually scattered all over the organization buried in functional reports and take extreme effort to collect and bring together. Rarely do they all come together in one 3-dimensional picture, like in a CAT-Scan. Another problem with getting this type of integrated insight is that as data flows upwards in most organizations it is “massaged” in order to present the situation in the most positive manner. It’s like brushing and flossing your teeth prior to a dental appointment when it’s not been a regular habit. Your teeth look clean on the outside but the damage is still there and you don’t fool anyone, especially the dentist. STRAT-Scan™ is a non-invasive diagnostic audit of your business strategy that can relatively quickly point out existing and potential barriers to effective strategy delivery. 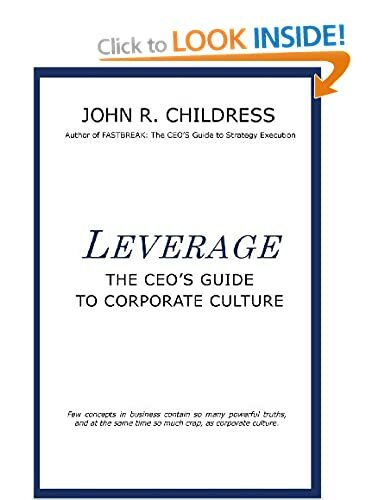 And the facts are overwhelming: less than 40% of business strategies are effectively delivered and most of the times it’s not lack of money or a poor strategy, but the inability to effectively execute. Many of the barriers to execution are invisible and difficult to pinpoint. That’s where STRAT-Scan™ comes in. Wouldn’t you want to know the specific barriers to delivering your strategic objectives? Over the past couple of years we have been developing and perfecting this STRAT-Scan™ as a tool to help business leaders see their organization more clearly. The process is non-invasive and is developed by taking your existing business strategy document(s), projects and company initiatives and plugging them into a special template that visually displays how well the elements of your strategy link together. Are all the ingredients joined up? Interlinked, or Joined-up strategic elements are critical to successful strategy deployment. Disconnected Initiatives? Our research has shown that somewhere around 30% of all funded projects and initiatives inside a company do not link to the overall strategic objective. That means resources, time and money are being spent on activities that have very little relation to driving forward your strategic agenda. Do you know which funded programs are not linked to your strategy? A STRAT-Scan™ can show you the specific non-aligned programs and the potential cost savings. A STRAT-Scan™ also highlights issues at risk and barriers to the successful delivery of strategic initiatives. Like the CAT-Scan, the ability to have a holistic view of your business and its strategy is a useful tool for any organization. This entry was posted in leadership, strategy execution and tagged CAT-Scan, initiative overload, strategy audit, strategy execution. Bookmark the permalink.